IT IS difficult for an increasing section of the Irish population to visualise the utter power wielded by the Roman Catholic Church in Ireland prior to the mid-sixties. The law of the State was dictated, not by the taoiseach and ministers in Dáil Éireann, but by the bishops and priests from the pulpit. What is even more remarkable is that, despite the inherent hypocrisy of a number of the Catholic clergy of the period, and the casual cruelties inflicted by them on the weaker sections of society in the name of a loving Christ, a significant number of that generation are still deeply religious and retain within themselves a natural and down to earth spirituality. Patricia Burke Brogan’s, Memoir With Grykes & Turloughs, published by Wordsonthestreet bears witness to both these stark realities of that period as well as to the resilience and strength of those few who had the courage to stand up and call stop, when to do so was to invite severe censure to the point of being ostracised by family and friends. The book’s narrative voice is more orchestral than sequential as Brogan revisits scenes of a long and varied life, apparently at random, the kernel of which is the cathartic day when shortly after entering the convent as a young novice, she finds herself in the Magdalen Laundry in Galway. Horrified at what she was witnessing, and in the spirit of the loving Jesus, to whom she had dedicated her life, she reached out a helping hand to the unfortunates incarcerated there, only to be severely reprimanded by an extremely angry superior who told her that under no circumstances was she to communicate with these creatures. It was at this point Patricia Burke Brogan discovered her true vocation. Shortly afterwards she left the convent and began a long and arduous journey in finding her true self through writing and painting with the ultimate goal of ensuring that the fate of the “Magdalenes” was not swept under the carpet or buried in unmarked graveyards. When, on February 14 1992 in a converted garage near the Spanish Arch in Galway, her play Eclipsed opened, she went a long way to achieving that. As noted, the narration consists of flashbacks mixed with a straight-forward narrative. This is mixed with an intense joy in teaching, whether in the classroom teaching art or through her canvases and creative poetry. Overhanging all is the dark shadow of the Magdalen experience. In the initial stages Brogan seems to find it somewhat difficult to deal with this, but finds the necessary strength through her father’s example and influence. His presence is constant throughout the text and in a chapter entitled ‘Sinn Fein The Old IRA’, we are given a full description of his activities during which he was captured by the Auxiliaries and sentenced to death. He was released on the night the Treaty was signed. When he returned to his Brigade in north Roscommon he found it had been infiltrated by political opportunists and in disgust he walked out the door never to return. 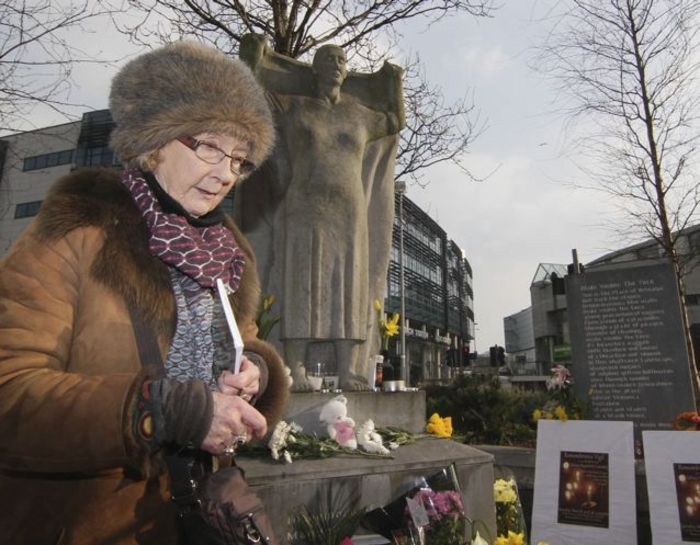 It was a similar resilience that enabled Brogan to give the Magdalenes a voice in Eclipsed - which has gained a national and international reputation - bear the insults and even personal threats that ensued, while remaining a devout Catholic. Memoir With Grykes & Turloughs is an extraordinary achievement, not only for its honesty and sincerity, but also for its total lack of bitterness. Page generated in 0.0957 seconds.